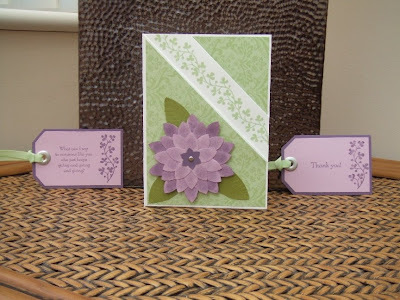 This week's challenge on Stamp With Us is the theme 'THANKS'. I have used mostly Stampin' UP! products on my card. I made the Double Pocket card adapting Lisa's tutorial on her Blog. I used an A4 sheet of Whisper White and adjusted the measurements slightly. The flower was also from a blog tutorial from Stacey. How fab is this card. Love the Tag idea. the flower is so stunning! 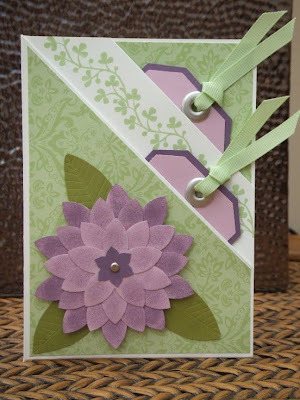 What a clever card, and so pretty! Love that big flower, it's gorgeous!